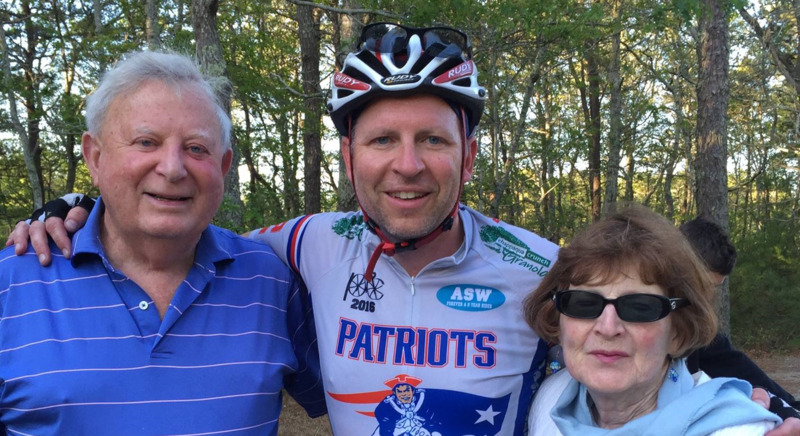 I am riding with the Patriot Platelet Pedalers, whose purpose is to raise funds dedicated to Dr. Ken Anderson's research on multiple myeloma at Dana Farber in Boston. Over 120 riders are part of the group and 100% of funds raised are donated to Dr. Anderson. The Pedalers are a group united by weekly emails, regular group rides, and a specific focus. I am excited to be riding with this group again in 2018. Please support my ride and this fight against this terrible disease. I look forward to providing regular updates on my Facebook account about training and the ride itself and can't wait to see the finish line in Provincetown this year!